Cannonball Read IV | A bunch of Pajibans reading and reviewing and honoring AlabamaPink. 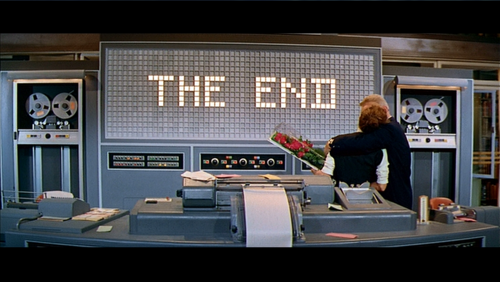 Ending of Desk Set, 1957. Cannonball Read IV has been sliced, diced, and wrapped up in a tidy little package for your perusal. If I’ve got anything wrong, drop me a line. 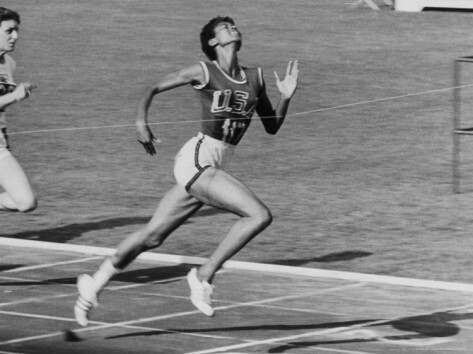 Wilma Rudolph crosses the finish line to win one of her three gold medals at the 1960 Olympics. We’ve made it to the finish line of Cannonball Read IV! No further reviews should be posted at this point. I’ll be tallying up the numbers and writing a recap post this week. Look for it on Pajiba on Friday. Whether you wrote one post or one hundred and four, congratulations to you. I hope you enjoyed the year. So I manged to read 43 books total and review 26 on time. I’ll finish the other reviews in the next couple of weeks and post them to my blog at http://competitivenonfiction.tumblr.com. Looking forward to CBR V next year! I’m sure I’m not the only one whose only previous experience with H.G. 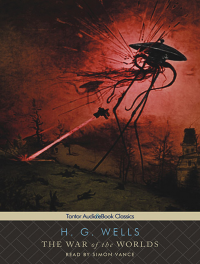 Wells was the 2005 War of the Worlds movie starring Tom Cruise and Dakota Fanning and the character on Warehouse 13 . While the movie was entertaining, it had the usual Hollywood dramatic scenes with the hero fighting to protect their family, where everything is frantic and full special effects. With that in mind, I found the audiobook refreshing. It has a much slower start than the movie. The aliens don’t just pop up out of the ground. Strange objects, apparently from Mars, land on the earth and are later reveled to contain aliens – Martians. We don’t know at first if they are friendly or malicious. They construct their tripod killing machines while people watch and wonder. When the machines are operable, their destruction of humanity and civilization begins. Of course, this is a time before cars, so people are fleeing by foot and horse and buggy and they don’t have access to instant news or telephones like we do which makes for even more confusion. Everyone is on their own. Here is a list of all the books I read this year and didn’t get around to reviewing. Some where better than others, but I did make sure to write about all the ones I truly disliked – they’re just so inspiring sometimes. This is the first time in four years that I didn’t read over 100 books – I wonder if I should blame my iPhone. Just under the wire. Picked this one up based on some recommendations from Pajibans/other Cannonballers. I’m surprised by how much quality literature is being churned out in the YA section of the book store. Although it helps when I’m only picking up novels after reading lots of raving reviews from intelligent adults with discerning tastes. Nonfiction about the antiwar/pacifist movement in England during World War I. Worth the read for a perspective that isn’t usually discussed. My relationship with the Virgin Mary has always been a little complicated. I grew up in a religious household, so I was of course introduced to her at an early age. Every year, she was trotted out in Christmas pageants and nativity scenes, where they would tell her story––the angel, the donkey ride to Bethlehem, the virgin birth in a dirty barn––and then put her away with the rest of the Nativity set, not to be seen or heard from until next Christmas. This was fine with me, because as Biblical figures go, aside from being my introduction to the term “virgin,” Mary never held much interest for me. We had nothing in common, I felt, and yet as I grew older she was constantly thrust in front of me as the ultimate role model for women. You can see the value a character like Mary would have as a tool for reinforcing traditional gender roles, given that her defining characteristics are virginity, motherhood, and submissiveness to God. But traditional gender roles didn’t appeal to me, so I just found her boring. She had no thoughts or opinions of her own, she was simply a means to an end, a side note in a larger story. It’s fitting then, that in Colm Tóibín’s The Testament of Mary it is her interpretation of the events surrounding her sons life that takes precedence. Though the narrative itself does not stray much from its source material, the Mary Tóibín imagines is completely her own, a full-fledged character worlds away from the shallow, one-dimensional figure we’ve come to revere from Renaissance paintings. This Mary does not believe her son was the Son of God. She can’t stand his followers, does not approve of their mission to evangelize the world on his behalf, and though she acknowledges the existence of his miracles, she finds their effect dubious at best. This is perhaps best exemplified in the example of Lazarus. Lazarus, for those of you who did not go to Bible school, is a man that Jesus raised from the dead. After his death and resurrection, not much is said about Lazarus. Like Mary, he fades into the background after he has played his part in the narrative. As a child, I used to wonder what happened to Lazarus after he was raised from the dead, and the picture Tóibín paints is not pretty: having experienced death, Lazarus finds himself removed from the world. He does not speak, he can barely eat. And through his example, Mary begins to question the value of the work her son is doing. This is what differentiates Tóibín’s Mary with the Mary most of us are used to. Unlike the serenely knowing, quietly submissive Mary we are so used to seeing, this Mary does not understand who her son is or what he’s trying to do. In fact, she tries actively to prevent him from doing it. Much of The Testament of Mary details her struggles to reconcile the son she loves with the Son that is headed willfully to his own death, and to do what she can to stop it. At the wedding in Cana (which Biblical scholars will recognize as both the site of the water into wine miracle and one of the only other times Mary is mentioned in the New Testament), she confronts him, attempting to get him to see the danger his life is in and agree to come home with her. He responds by saying (as he does in the Bible), “Woman, what have I to do with you?” At this moment, she knows that he is lost. And yet up until the end, she continues to ask whether there is something that can be done, whether his death can be prevented. Colm Tóibín is a master of detail, and this is seen nowhere so much as the climax of the book, Jesus’ crucifixion. Unable to process the horror of what is happening, Mary finds herself focusing on details of the scene around her: the way the thorns embed into her son’s forehead, pushing themselves deeper as he tries to pry them out; the way the crosses keep tilting over when they are being put into the ground, the people nearby, playing dice, or in one memorable case, a man feeding rabbits to a live hawk in a cage (this image, incidentally, calls to mind a painting that Tóibín credits for giving him the inspiration for the book). After hours of bearing witness to her son’s suffering, afraid for her own safety, she flees before he’s even dead. It is her decision to flee that most haunts her, in her old age. She constantly searches for gaps in her memory, places in the narrative where by acting differently she may have been able to save her son. Even as she finds none, even as she knows there are none to find, she continues to look for them, to the point where her memory becomes confused. First she dreams that she saw her son alive, then she dreams that she was with him when he died, and she starts to think that maybe she did stay, maybe she cried over his broken body and washed it in preparation for burial. These false memories have a dreamlike, Titian quality to them, a genius stroke of authorial subtlety, comparing the reality Tóibín imagines to the myth we’ve all accepted. In the end, reality wins out. At night, she still dreams of her son alive and well, of herself as a dutiful mother, but in the harsh light of day, she is forced to reckon with the truth: she had a son, and now her son is dead, she could not save him and no protestations about eternal life from his disciples will bring him back. There’s a verse in Luke 2:19 about Mary, that takes place soon after Christ’s birth: “And Mary kept all these things, and pondered them in her heart.” My mother always loved that verse for what it said about Mary’s character, but it made me want to scream. If she was meant to be a role model for all women, I thought, it stood to reason that she should have more to say about what happened to her, about what happened to her son. It never occurred to me that maybe Mary never wanted to be a role model. I think I would have liked her more if it had.